Gotthilf Lufft (1848-1921) was a technical assisstant at the Polytechnic in Stuttgart in his young years. He had the task to prepare scientific experiments and build up and maintain the instruments as well as the facilities. In 1873, when he was 25 years old, he took over the well-established optics business SF Trostel in the Eberhardstrasse 37, in Stuttgart. Here, he started with the production of aneroid capsules in the very same year. From the exemplary documentation of the Lufft house, it is evident, that these membrane capsules were known in Germany in the beginning 70’s in Germany already but obviously needed to be imported from France. It became a market which was administered by G. Lufft very successfully, at the beginning in his optics production workshop, from 1881 on in the newly founded “mech. Werkstatt G. Lufft”. There, aneroid barometers, compasses, hygrometers and further meteorological instruments were produced. The businesses ran very well and made relocation into the Katharinenstrasse 4 necessary for bigger space. In order to be able to grow further, G. Lufft searched for property and found one in the Weinsteige 22 in Stuttgart. The construction of the new Lufft facilities started immediately and in the year 1891 the complete company site moved there. Gotthilf Lufft was a vital business man who was constantly searching for new business fields. Therefore short “trips” to the acetylene welding, the fabrication of calipers and even the photo technology took place. Together with the Nagel brothers, he founded the “Contessa-Camera-Werke”. They and C.P. Goerz as well as eight camera manufacturers merged to the “ZEISS-IKON AG” in the year 1926, which might be a familiar name to many of you. During the First World War, altimeters were assumed into the portfolio and produced in high quantities. The post-war period involved a whole new start. At 23rd of May1921 the company founder passed away. 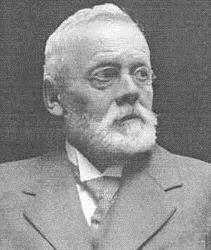 As the son of Gotthilf Lufft left the company shortly after his father due to several turbulences regarding the company’s succession, the rebuilding was taken over by the father-in-law Dr. Richard Müller-Lufft (1869-1944). The company became a family company and a new corporate logo occurred. Afterwards, the company gained new strength comparable to earlier days, so that in 1925, the “Etablissements E. Hüe in Paris” were taken over as access to the French markets. Through this, a strong competitor was eliminated. From 1932 on, also bimetallic thermometers were produced. The production ran smoothly in the thirties. It consisted of the complete range of meteorological instruments for home and industrial applications, like metal barometers, hair hygrometers, altimeters, recording instruments, pocket compasses – as it can be read in the memoires. The conditions before the Second World War finally forced the sale of E. Hüe-Paris in 193 again. Lufft withdraw to its location in Stuttgart. During the war, only membrane capsules were produced in high output rates. 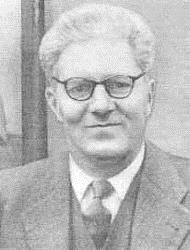 Dr. Richard Müller Lufft deceased on the 22nd of October 1944. After the breakdown in the year 1945, difficult years of recompilation followed for Lufft. Under the leadership of Dipl. Ing. 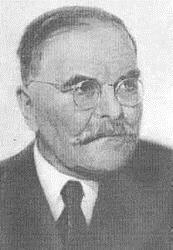 Erich Müller-Lufft paired with Swabian diligence, a new start was performed successfully out of a almost hopeless situation. The firm Lufft gained back its old splendor, and the products distinguished themselves through the high quality. The aspiring climate protection thought has required new measurement technologies with remote control. Electronic products became more and more important over the upcoming years. After 115 years, the workshop of mechanical aneroid works was discontinued in the year 1986 finally. Today, the company G. Lufft is one of the market leaders in the area of climatological measurement technology. 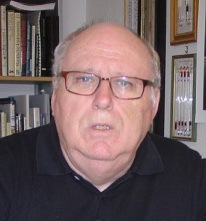 My name is Gerhard Stöhr, I’m a qualitfied optician and hearing care professional. Since 2006 I have been retired. Weather instruments were not only my profession but also became my hobby. That’s why I collect weather instruments and write literature about this since 1980 already. After co-founding the collectors’ online portal “friends of old weather instruments” in 2001, I take care of this daily. In addition, I’m involved in the conveyance of the German Thermometer Museum in Geraberg/ Thüringen with the mission to preserve endangered knowledge. Together with co-author Rainer Holland we spread four publications so far. I got a no38589 compens, the Logo since 1920 on it, how can I know the correct year? Congrats on this historic procurement! Unfortunately, it’s impossible to track the production year of the old sensors, so 1920’s is quite a good info. I have a Lufft barometer used to go long to my grandparents who married in May 2018. It is marked on back with repair date of 6/1926. Serial numbers on the back of the wooden case is “5450 a”; elsewhere on the rear of wooden case is a “1”. Do you have any idea of the production year? This could have been produced sometime in the 1920 – 1930s.